Allure Boutique Shop processes all orders using the United States Postal Service (USPS), FedEx, and UPS. Orders are processed Monday- Friday only. (We are closed Sunday). Orders are processed within a 24 to 48 hour from the date of purchase unless otherwise noted under the item that you are purchasing. Orders processed on the weekend, holidays, or when Allure Boutique Shop is closed will be processed the next business day; unless you select express shipping. Standard Priority Mail Shipping and Handling is $7.00. Some orders do require a signature at the time of delivery. 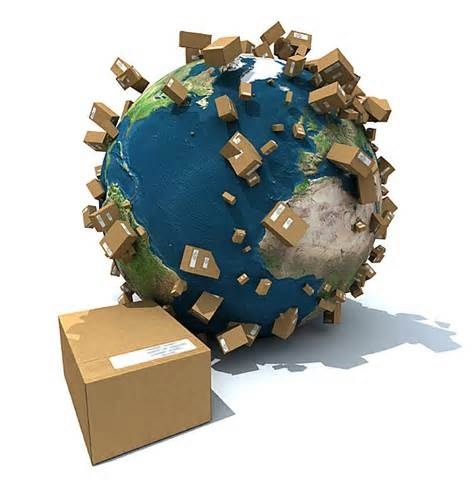 If within the continental US, your order should be received within 3 to 5 business days. Once your order has left our store, we will then send out an email to you with your tracking info. Please allow 24 hours after the item has left, to track your package online with USPS. If your order is placed Monday – Friday by 12PM EST, your order will be shipped the same day. You can expect to receive your item the next day; unless you live in a 2- day area Express Mail Area. (Contact your local post office to check your area). Shipping and Handling Fees vary for Express Orders; please utilize the shipping calculator for the exact amount. Allure Boutique Shop offers worldwide shipping to most countries. If your country is not listed in the checkout you may contact us via email (sales@allureboutiqueshop.com) with the items number, size, and quantity of each items that you would like to order. Some from the sales department will contact you with the shipping information and the total. All orders will be processed through PayPal. You have 10 business days from the date you received your order to return your items. Please use the address on the invoice to return your item. We find that the USPS Flat rate box is the less inexpensive shipping method when returning your item. Remember to keep record of your tracking number. Once your item is received, please allow 24/48 hours for your return to be processed. We will send your exchanged item or email you a gift certificate code that can be used on the site. If you refused to receive your package from USPS; your order will not be refunded. Allure Boutique Shop does not issue refunds. Allure Boutique Shop is not responsible for lost packages due to USPS error, however USPS Priority Mail does offer $50.00 insurance coverage for lost and damage property. You would have to contact USPS and file a claim yourself to get this matter resolved.